The Grey Sailor is very much a forest-dependent species. Although seldom seen in urban parks and gardens, this species is fairly common in the forested nature reserves of Singapore. The caterpillar host plant, Gironniera nervosa, is not uncommon in forested areas, and is a plant which another species, the Purple Duke (Eulaceura osteria kumana)'s caterpillar also share as its host plant. 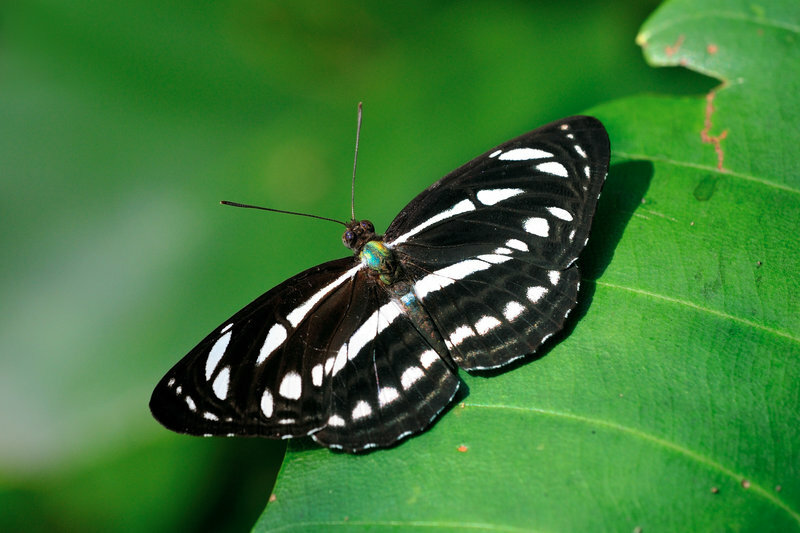 The Grey Sailor features the typical black and white horizontal bands across both wings, typical of the genus Neptis. There are two lookalikes in Singapore - Short Banded Sailor and Common Sailor. This shot of a sunbathing Grey Sailor was taken by ButterflyCircle member Anthony Wong at the nature reserves. The underside of the species is grey, and distinguishes it easily from the other two lookalikes mentioned above, which has orange-brown undersides.